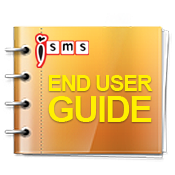 iSMS Malaysia - Online SMS Marketing End User Guide One Time SMS Scheduler or Daily SMS Scheduler. Lowest price & most reliable Bulk SMS marketing tool. 2 way sms Malaysia, Bulk SMS, bulk sms Malaysia, bulk sms Singapore, online sms solution, web sms marketing. If you want to send Chinese, Japanese or other special characters, you need to select unicode. Setting - You able to send your start date, start time and timer. 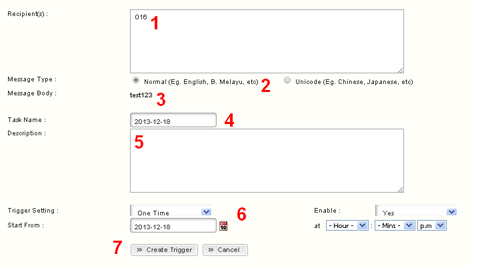 Click "Create Trigger" to add new scheduler.